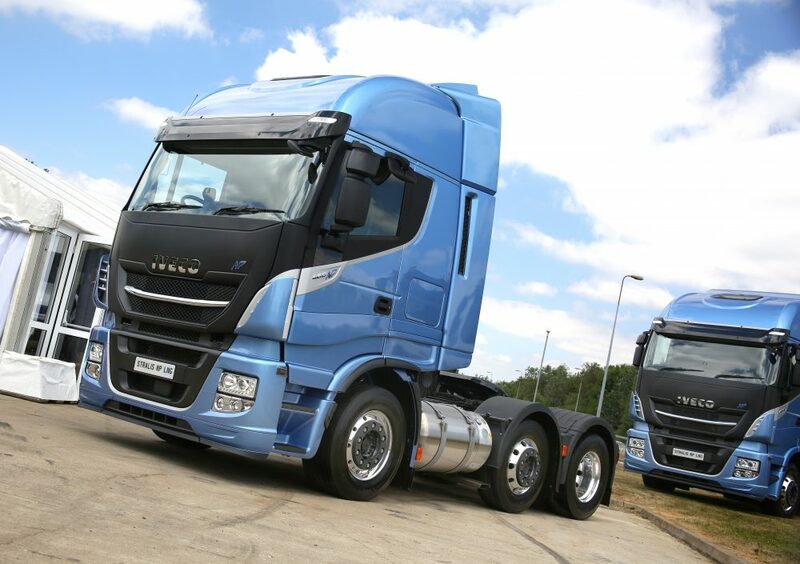 Today marks the launch of the UK’s most eagerly-anticipated natural gas truck with the global debut of the new IVECO Stralis NP 460 6×2 tractor unit. 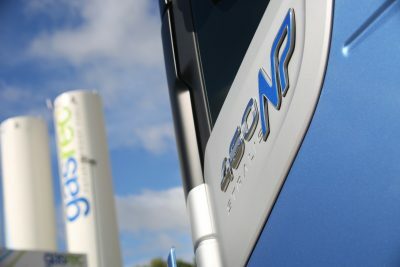 The vehicle was unveiled at an exclusive launch event for customers and dealers at Gasrec’s refuelling site at the Daventry International Rail Freight Terminal (DIRFT) – one of Europe’s largest liquefied gas filling stations. 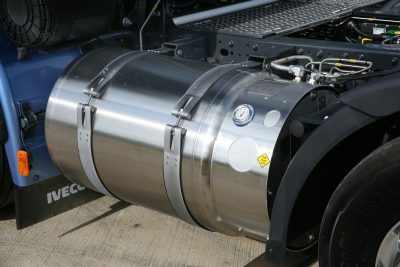 Designed to be the most sustainable heavy truck for 44-tonne operation, the Stralis NP 460 6×2 stands apart from competitors for being the first three-axle tractor to operate on 100 per cent liquefied natural gas (LNG) and has been engineered in both right-hand and left-hand drive variants. The new vehicle joins IVECO’s growing gas-powered line-up, which now stretches from 3.5 to 44-tonnes. Named Low Carbon Truck of the Year at the Commercial Fleet Awards 2017, the existing 4×2 Stralis NP range offers a choice of 400hp and 460hp engines – of which there are 25 already in operation in the UK and more than 1,000 across Europe. Stuart Webster, IVECO UK & Ireland Business Director, says: “This is a really exciting launch for IVECO and marks the moment natural gas moves into mainstream UK volume in a big way. What began as a niche fuel now offers fleets the widest range of opportunities for the future and we’re absolutely committed to helping operators begin the technology transfer from diesel to gas. The Stralis NP 460 6×2 runs exclusively on LNG from tanks mounted either side of the chassis, for a range of approximately 750km. IVECO says this makes it perfect for applications where vehicles operate on a ‘same-day out and back’ operation, with gas companies keen to support businesses in establishing on-site refuelling capabilities to complement the UK’s growing network. IVECO engineers have also worked hard to ensure the new vehicle can accommodate the largest possible LNG tanks, whilst still maintaining 22.5” wheels across all three axles – one of many steps to ensure Stralis NP enjoys the widest possible customer acceptance. Sitting at the heart of the new vehicle is the 12.9 litre IVECO Cursor 13 NP single-fuel engine, offering the perfect blend of power and performance for the majority of UK-based applications. The vehicle also features IVECO’s latest generation 12-speed Hi-Tronix automated transmission which further improves on the EuroTronic’s excellent driving comfort and performance, whilst adding new functions such as the GPS-based Hi-Cruise predictive cruise control and gear-shifting. The Stralis NP maximises the environmental advantages of natural gas, regarded as the most eco-friendly fuel for internal combustion engines. Its proven technology delivers a 99 per cent reduction of PM and 60 per cent in NOx compared to Euro VI limits, helping to significantly improve air quality. It also offers fleets the potential to reduce CO2 emissions by up to 95 per cent when running on liquefied bio-methane (LBM). Designed to be extremely quiet in operation, IVECO’s Cursor 13 NP engine records less than 71 dB on the PIEK quiet truck test, adding to the vehicle’s sustainability credentials. The use of LBM has the added benefit of reducing dependency from fossil fuels, as it can be generated from agricultural and urban waste, sewage, or waste from the food industry. IVECO’s proven Hi-Tronix transmission helps to reduce shifting times by 10 per cent compared to the previous generation gearbox and offers additional features such as rocking function, four reverse gears and a new offer of PTOs. The Hi-Tronix also comes with standard integrated hydraulic retarder and hill-holder function for added driver and load safety. Other key features found on board include IVECO’s fuel-saving Driving Style Evaluation system to monitor and improve driver behaviour, an Ecoswitch speed and torque limiter, Ecofleet for the most efficient shifting strategy, an optimised rear axle ratio, low-rolling resistance tyres and access to IVECO’s Fuel Consultancy Services. Also contributing to the Stralis NP’s low total cost of ownership are IVECO’s long service intervals: 90,000 km with this new vehicle, resulting in more time on the road. The absence of complex after-treatment systems, particulate filters and active regeneration further add to the low-maintenance advantages of the Stralis NP 460 – which is available with a full range of IVECO Elements repair and maintenance contracts. 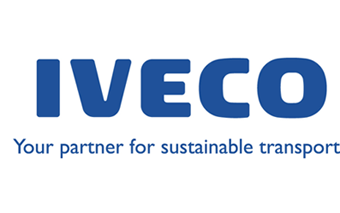 IVECO has pioneered natural gas vehicles for more than 20 years, and consequently its dealer network is the most experienced with this alternative fuel in the industry. Today they support more than 25,000 natural gas vehicles already delivered into service across Europe. UK operators will benefit from a dedicated customer plan which begins well before any vehicle enters service thanks to IVECO’s targeted specialist service support team and extensive dealer network. With more than 200 registered gas technicians nationwide, and IVECO Assistance Non-Stop, the manufacturer aims to increase uptime and boost business profitability. Each Stralis NP will be connected through IVECO’s telematics system to the manufacturer’s central control room where vehicle performance is monitored by teams of experts in gas technology to keep fleets running efficiently and identify potential issues before they happen. The Stralis NP 460 6×2 is available to order from dealers nationwide with immediate effect, with the first demonstrators expected to commence trials with UK fleets during October 2018. This is a really exciting launch for IVECO and marks the moment natural gas moves into mainstream UK volume in a big way. What began as a niche fuel now offers fleets the widest range of opportunities for the future and we’re absolutely committed to helping operators begin the technology transfer from diesel to gas.